Kira Jordan wakes up chained in a room with Rogan Ellis, a boy well known for his vicious crimes. They are told that they are participating in the game show Countdown, in which they have to pass a certain amount of levels to win. In each level, they are told to do a specific task within a certain amount of time. If they complete the task, they move on to the next level; if they fail to complete the task in time, they die. Kira must learn to work with Rogan, someone she would rather have nothing to do with, in order to finish the game and survive. This book reminded me of a twist between The Hunger Games and The Running Man by Stephen King. In Countdown, criminals are drafted to play in the game show that the rich people watch for entertainment. Kira’s entire family was murdered in front of her so she has been living on the streets trying to stay alive. Rogan has been in prison for a horrible crime, and he and Kira are supposed to work together to win the game show. They have to complete terrible tasks to pass each level, and they are being constantly monitored so they are unable to escape. As they complete each level, Kira and Rogan discover more truths about each other and realize that they must overcome their differences to win the game and find a means of escape. While I really enjoyed all of the twists and turns in this book and found it hard to put down, I think it would have been better as a trilogy than a standalone. It’s so rare that I say that because today it seems like everything is a trilogy and I’m always wondering where all the standalone novels have gone but this is one book that could have benefited from having at least one sequel. It was a lot to jam pack into one novel and while the ending had somewhat of a resolution I still found myself left with a lot of questions as to what happened after. I loved the fast paced action and the constant twists but I felt like I would have wanted to spend more time reading about this world. 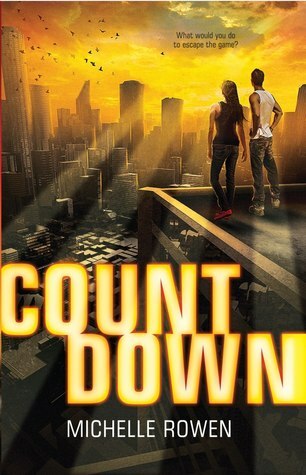 Overall, Countdown was a fast paced novel that kept me on the edge of my seat. I would have liked a bit more of a resolution at the end so I am definitely hoping for a sequel! Countdown was released on October 1, 2013.